July 7, 3316 CY: Lord Stefan defeats the Dragon Army in the Battle of Threshold. July-October: Lord Stefan clears out the remnants of the defeated army, before officially declaring the area around Threshold free of the taint of chaos. The wizard Zamzomarr retreats to his iron tower in the Haunted Woods. December: Lord Stefan called back to civilized lands. Belrain the Sword Singer given command of Threshold. Stefan's army disbanded. January-March, 3317 CY: Adventurers, Elves and Dwarves flock to the Black Peaks region. The Dead Gentlemen, a mercenary company, takes over the South Gate. April: Renata the Robber active in The Haunted Forest. Bounty offered for her killing or capture. April 24: 02: Second Expedition to the Lost Mine, 03: Second Expedition to the Lost Mine (cont.). A large party of adventurers defeats a tribe of goblins living in the Lost Mine. May: Bounty offered for clearing the Desecrated Church and Goblin Castle. June 3: 04: Ambushed on the Road. Renata killed by the Boon Companions. June 19: 05: The Kaves of Kobolds. A single adventurer and three trusty retainers kill several kobolds and reconnoiter the Caves of Chaos. June 21: 06: The Kobolds Strike Back. A party of adventurers suffers heavy losses at the hands of the kobolds. June 23: 07: Let Sleeping Ogres Die. A party of adventurers surprises and kills an ogre, making off with a sizable hoard of treasure. June 25: 08: Charmed and Dangerous. A determined party of adventurers destroys the kobolds and a lair of bugbears, netting thousands of gold pieces and other treasure. June 27: 09: Assault on the Temple of Chaos. A party of adventurers continues their rampage in the Caves of Chaos, braving the lair of a shadowy figure known only as "The Master" and getting away with a fortune in gold and valuables. July 2-4: 10: Return to the Lost Mine. The Boon Companions recover a fabulous gemstone from the Lost Mine, kill several acolytes of the Frog God and dozens of their guardian monsters before returning to Threshold. Oct: The Fall caravan fails to arrive. Reward posted for finding the lost drovers and their guards. Nov 11-15: 11: The Numminen Hoard, 12: Standoff in the Mine, 13: Escape from the Lost Mine. Yevgeni the Adept leads a party of adventurers to the alleged location of a dwarven treasure in the Lost Mine. late Nov: reward posted for capture of Klipsan and his accomplices. early Dec: The first snowfall in Threshold. With the loss of the Fall caravan, food prices skyrocket (maintenance costs doubled until the next caravan). Bandit activity is on the rise. A large contingent of Dwarves take up residence at Mikko's Farm. late Dec: A band of Northmen led by Bjorn Ulsir of Glar arrive in town on a trading mission. They sell their supplies of meat at high prices, so they decide to winter in Threshold, announcing their intention to explore the Desecrated Church and claim the reward, if possible. Dec 21: 14: Massacre Beneath the Keep. A party of adventurers battle orcs and other vermin in the dungeons under the Keep of Koralgesh. Dec 22: 15: Relief in Koralgesh. Old friends reunite in the second delving at Koralgesh. Dec 23: 16: Fire & Water. The lower caverns beneath the keep are explored to their utmost limit, and the adventurers pay the price. Dec 24: 17: A Bad Case of Crabs. The second level of the keep at Koralgesh is breached. Dec 25: 18: Team Eldar vs King Spider. Wherein we say 'hello' to Feralion and 'goodbye' to Boolean. Dec 26: 19: Undead Undead Undead. The second level of the keep is deemed to be explored, and the party returns to Vinyard to present the Hammer of Banduron to Stump the dwarf. Dec 28: The Frog and Peach burns to the ground. A glorious new year dawns, the Current Year of Our Lords the Gods of Law, three thousand, three hundred and eighteen. Jan 1, 3318 CY: 20: Another Go. After returning to the town of Vineyard, the adventurers regroup to breach the third level of the Keep of Koralgesh. Jan 2: Bjorn Ulsir of Glar's Northmen set up camp within the Desecrated Church, posting guards to prevent others from claiming the bounty. Jan 7: 21: Sacred and Profane. Adventurers travel from Vineyard to Threshold, where they enter and become trapped under the Desecrated Church. Jan 8: 22: Escape from the Desecrated Church. Friends arriving from Vineyard rescue adventurers trapped beneath the church, with the help of the Northmen. 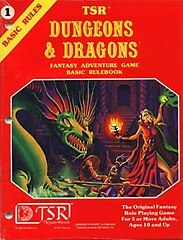 Jan 11: 23: Dungeons and Dragons. Sly and Warthog return to Camp Koralgesh and join other adventurers in plundering the second level. Sadly, Sly does not return. Jan 12: 24: Bed, Bath and Beyond... in Koralgesh. A canny group of adventurers bring back a rich haul from the Keep of Koralgesh, despite the loss of a retainer and a butler. Jan 13: 25: Into the Vault: Veterans of the Keep penetrate the treasure vault and return with a massive haul of coins, gems and treasure. Jan 13-20, Jan 22-27, Jan 29-Feb 4: 26: The Dragon and the Crypt. Plunderers of the Caves of Chaos disturb the Crypt of the Bandit Queen and seal the fate of many retainers and one Elf, who is returned to the living by necromancy. Feb 4-6: 27: Owl Quest. Adventurers join Dalamyr the Priest on a quest to restore a church of Wisdom, but are at loose ends after their leader's untimely destruction. Feb 8: 28: Thieves of the Old City. Adventurers are hired by Belrain the Sword Singer to find missing children and find the remains of an ancient town beneath Threshold. Feb 11: 29: The Doppelganger Effect. After the reappearance of Dalamyr, adventurers return and complete their quest at the Temple of the Owl. Feb 13: Gamgar throws a party for Dwarves at the Mog and Merkin, and announces his intention to rebuild in the western section of the town. Feb 15: Local retainers unionize under the auspices of the Dead Gentlemen mercenary company. Fern and his kin begin work on Gamgar's building project. Feb 20: 32: Return to the Filthy Sewers. The raiders of Quasqueton rest for a day. Parsnip returns to Threshold to check up on Mulyx, and winds up accompanying Gamgar and Kaffshyth into the filthy sewers. Feb 24: The Dead Gentlemen no longer allow the hiring of retainers without union representation. Feb 28 to March 6: 36: The Tomb of the Red Mummy is systematically pillaged by Parsnip and Warthog. Warthog expires at the last minute and is replaced by Umgax, who quickly develops magical powers after exposure to warprock. March 8: 37: Blood for the Blood God. Viktor Calanon dies an ignominious death in the Temple of the Blood God. An actress, a child and an idiot also perish. March 9? : 38: The Doom of Shul Hazadar. March 13: Parsnip, Kaffshyth, and Gamblor get rid of some 39: Bandits and Bootleggers. March 15: A group of adventurers head north 40: To the Mouth of Stonehell. March 20: 41: Stonehell Round One. Some adventurers return from Stonehell with a lot of money. March 24: Umgax and Parsnip are back in Threshold, hiring retainers for an expedition north. March 26: Umgax and Parsnip venture into the haunted castle on Bone Hill, where there is some trouble with the undead. They retire to the Inn of the Dying Minotaur. March 27: Umgax and Parsnip explore the village of Restenford. March 28: Bonspiel catches up with Umgax and Parsnip, and they make a violence-inducing discovery: there's gnolls in them hills! The gnoll population is subsequently reduced. March 29: Bonspiel and Parsnip overcome a Murderous Hangover, plundering both the burned guardhouse and a local tavern of its valuables. March 30: Dalamyr's Doomriders confront the Bones Under Bone Hill, while bugbears slaughter their retainers above ground. March 31: Dalamyr's Doomriders have a Showdown Up in the Sky with the bugbears and their Giant Purple leader. April 4: Tower of the Stargazer, Part I.
April 7: Dalamyr returns to the tower of the stargazer and finish looting it. Later in April: An all-star cast of Black Peaks heroes descend on Woolford and poke around looking for merchant-hating bandits and find some goblins (sessions 51-53). Dalamyr, Gamgar (celebrating a year of adventuring in Black Peaks), Merrigold Serpenthelm, Connor, and Colonel Kaffshyth all make appearances. Early May: Connor and Dalamyr get rid of Fire Mountain. Late May: Connor, Dalamyr, and Merrigold Serpenthelm, the Fearless Mystery Killers, break up the Restenford-based operations of a priest of Hextor, and apprehend him at Rothgnaar's Fishing Hole. June: Dalamyr and Merrigold Serpenthelm go up Against the Frost Witch in the caves beneath Threshold, and with the help of Durgrim's Treasure Map, manage to permanently seal up one of the three portals of evil that plague the Black Peaks. The underground chambers of the witch collapse, reshaping the surface of the town, and drowning numerous subterranean inhabitants, who are then found in the river. Merrigold then descends into the sink hole and finds the False Tomb of Zamzomarr. July 7: Ranndy Serpenthelm kills Threshold's alchemist and burns his shop down. The chemical smoke sticks around a forms an ominous, hazy cloud over Threshold. Later in July: The Purple Worm Cult seizes control of the hellmouth under Zamzomarr's iron tower, rededicating it to the Purple Worm God. Even late in July than that: Viktor, a cleric of the Purple Worm God from the east, joins forces with Holga and Ranndy Serpenthelm to become the Purple Fearless Vampire Killahs. The Purple Worm Cult then splits into two groups, one group taking their goblins and going north, the other staying behind to continue the god's work in the Black Peaks. August 3-10: Gamgar and Merrigold Serpenthelm descend into the basement of Kalapron's abandoned house, in a Special Cross Over Extravaganza. August 11: A fishing village to the south of Threshold is raided by crab men. Gamgar investigates, inconclusively. August 17: Gamgar returns to the Caves of the Creepy Crab Crawlers with Columbo and Merrigold Serpenthelm, but it costs him an arm and a leg. Mid August: Dalamyr roots out the other purple worm cultists who stayed behind in Black Peaks. August 25: A temple of toads is looted, but our adventurers suffer grievous losses. August 27: A wake is held for the brain-dead Gamgar, and many Dwarven luminaries pay him homage and attest to his great generosity and bravery, which should give you some indication of how good he was at lying. August 29: Floria, Merrigold and Columbo return to the Caves of the Creepy Crab Crawlers in order to slay a silver man and obtain a great treasure! September 2: Two clerics of law, fresh off the boat, and Merrigold assist in returning a necklace to a foreigner vacationing in Threshold. Late September: The Serpenthelm Adventuring Company assists the Baron of Restenford with his goblin problem - goblins, flaming oil, and fungus abound! Early October: The Serpenthelm Adventuring Company returns to the goblin's lair. Zombies and orcs are met, and a druid is pestered. Late October: Further adventures in the goblin's lair! Minotaurs and a big pit figure heavily in the proceedings. November: Merrigold, Columbo, and Alatar the Red make their way north across the frigid sea, to the monster-haunted city of Ormok. Late November: Columbo's Corsairs mount a rescue mission/robbery attempt on a dwarven mine wherein they are nearly wiped out. Early December: Columbo's Corsairs drown a bunch of troglodytes using a small bowl. No, really. December: The Corsairs experiment's cause more mischief! December: The Corsairs finish searching the dwarf dungeons. A glorious new year dawns, the Current Year of Our Lords the Gods of Law, three thousand, three hundred and nineteen. January, 3319 CY: Various and sundry adventurers make their way across oceans, deserts, and dangerous valleys to the city of Yam, for the sole purpose of looting the gigantic abandoned fortress next to it. February: A group of adventurers and mercenaries The Eibon Fortress twice, and discover quickly that it is a deadly place! Early March: Columbo's Corsairs make two more forays into the Eibon Fortress. The first is devastating for the mercenary retainers, the second for the Loud One. Late March: Columbo recovers Staulkurtan from Fortress Eibon, the first of many arms is kicked off by a skeleton horse, and Mern finds a magic wand. Early April: Bonspiel and Griswald parley with frog-men in Fortress Eibon. Late April: Lawful clerics begin arriving, and dying, in Fortress Eibon, starting with the fall of Shazadar. Early May: Ranndy Serpenthelm has his worst adventure ever, another lawful cleric goes down, and no loot is recovered. His companion Zodar Khan tries to recover, but as you can see from his own account it does not go very well. Still, he eventually succeeds in rescuing one of his companions from the lair of the pink ninja. Mid-May: An all-star team up including Dalamyr, Columbo, and Floria bring death to evil wizards.